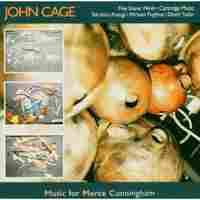 Silence And Sound: Five Ways Of Understanding John Cage : Deceptive Cadence Watch and hear a handful of clips that form an introduction to the master provocateur's work. 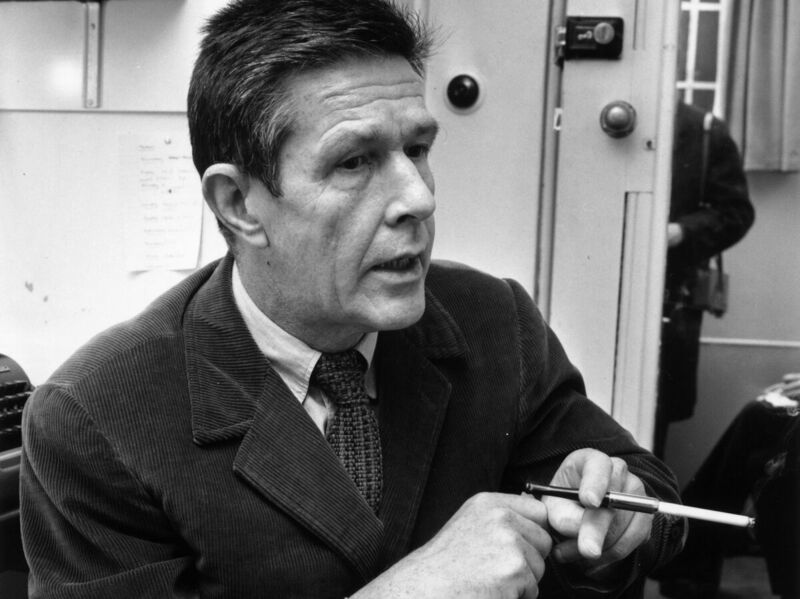 Composer, conceptual artist and professional provocateur John Cage, in a 1966 portrait. But Cage was no flim-flam artist; 4'33" wasn't silent and it wasn't a joke at all. When a pianist does nothing more than lift and close the instrument's lid, the ambient sounds surrounding the listener, and even the listener's own breath, become the vehicle for a kind of sonic zazen. It is a stunningly potent invitation to reframe music and the world. 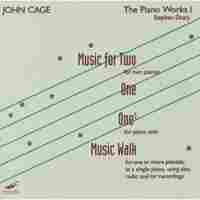 In a 1988 interview with composer William Duckworth, Cage said that 4'33" was a piece he used "constantly in my life experience. No day goes by without my making use of that piece in my life and in my work ... More than anything else, it's the source of my enjoyment of life." While it is true that he could have disseminated his ideas via the ministry (a path he considered early on, before he was introduced to Buddhism), visual art (ditto), or more primarily as a writer or as a philosopher, music and live performance were his main modes of expression. Like meditation itself, Cage's work is best experienced rather than explained, so in honor of the Cage centennial, here are five videos and performance clips of his work, each a path into understanding what he was all about. 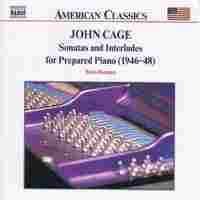 So what goes into preparing a piano according to Cage's specs, anyway? Pianist Stephen Drury, a Cage specialist, explains how he gets the instrument ready (a bread clip, strips of rubber from a canning jar, screws, bolts), how long it takes (at least 3 hours) and how to do it (very carefully). The results are both curious and sublime. 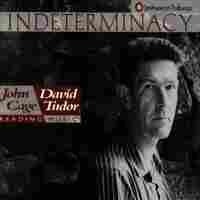 As Kay Larson explains in her excellent, lucid and newly published book Where the Heart Beats: John Cage, Zen Buddhism, and the Inner Life of Artists, the guiding force behind this work was his Buddhism teacher, D.T. Suzuki: "Cage had encountered teachings on indeterminacy in Suzuki's class. Suzuki's vision of the universe was slippery and full of transformative potential. Indeterminacy means, literally: not fixed, not settled, uncertain, indefinite. It means that you don't know where you are. How can it be otherwise, say the Buddhist teachings, since you have no fixed or inherent identity and are [yourself] ceaselessly in process?" John Cage's work didn't exist in a vacuum. Take for instance 1965's Variations V, a collaboration between choreographer and dancer Merce Cunningham — whom Cage first met in 1938, and who soon became Cage's companion until the composer's death in 1992. The co-creators of Variations V also included David Tudor, Robert Moog, video artist Nam June Paik and electronic artist Billy Klüver, among others. The score was created by coin flips that determined each sonic element; accordingly, the music would change at each performance.